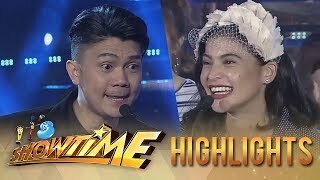 Vhong Navarro jokes about the school that doesn't have classes all the time. 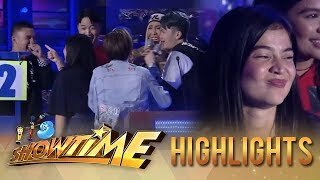 It's Showtime PUROKatatawanan: Vice Ganda leaves Team Boys! 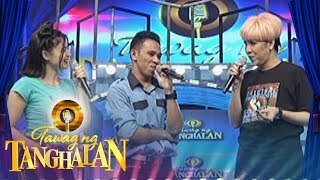 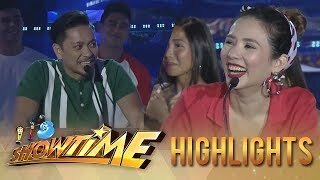 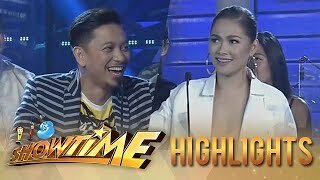 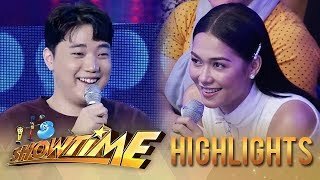 Tawag ng Tanghalan: Vice Ganda versus Jhong and Vhong! 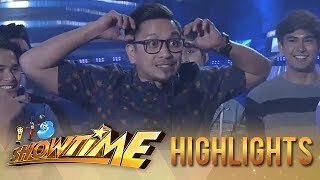 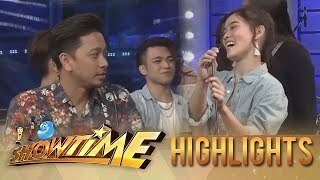 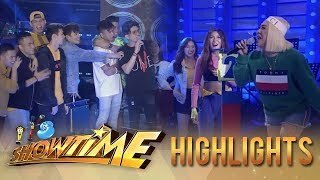 It's Showtime PUROKatatawanan: The Team Boys tease Anne Curtis!